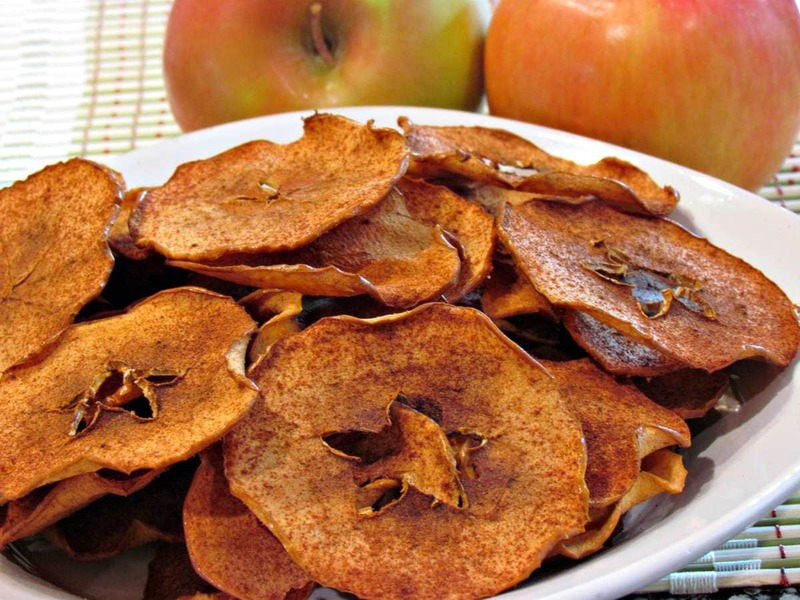 These pumpkin spice apple chips are the perfect fall treat. While I was making them, my house smelled like I had a pumpkin pie in one oven, and an apple pie in the other. Who needs potpourri with a scent this heavenly. You might be thinking “But wait, apples aren’t low carb!” While they aren’t typically considered to be a low carb free-for-all food, I work them in occasionally. Throughout my entire weight loss journey, I can honestly tell you that I never got fat from eating too many fruits and vegetables. Using a mandolin, slice the apples as thinly as possible. You can core the apples first but I just slice the whole apple and then remove the seeds. Line 2 baking sheets with parchment paper. Place the apple slices in a single layer across the parchment paper. 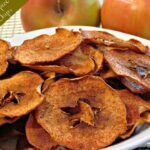 Combine the pumpkin pie spice and erythritol and sprinkle generously over the apple slices. Place the trays in the oven on the top and bottom racks. Bake for 2.5 to 3 hours. Swap trays mid way through. These looks verry appetizing. They also remind me of banana chips! I do want to try these, look delicious!